Includes Mushroom Bruschetta, Curried New Potato Salad, Pumpkin-Ale Soup, Zucchini Ragout, Berry-Streusel Tart...and Hundreds More! Hundreds of healthy, everyday meals! 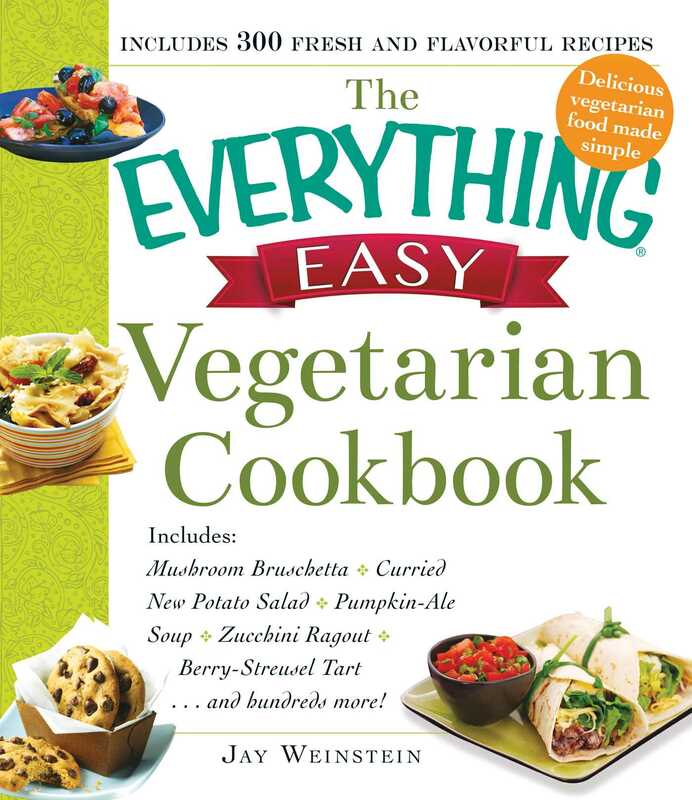 The Everything Easy Vegetarian Cookbook makes preparing delicious everyday vegetarian meals quick and simple. This comprehensive cookbook has it all: recipes for hectic weeknights, make-ahead slow cooker meals, impressive but easy company dinners, and indulgent desserts. Complete with an array of vegan options and substitutions, this versatile cookbook has everything you need to create healthy meatless meals--without spending the day in the kitchen!